Sunday afternoon and I just finished watching The Delivery Man with my family. Got bored so I went upstairs in my room then I suddenly saw this book on the plastic cabinet. I didn’t have anything to do that time so I decided to pick it up and then started to read. It has been a long time since I last reviewed such things about English: parts of speech, grammar, subject-verb agreement, etc. I just scanned some topics where I still get confused. Luckily I relearned it again. Once in a while I need to refresh my brain about these things. Maybe next time I would subconsciously get my algebra book and would try to find x. 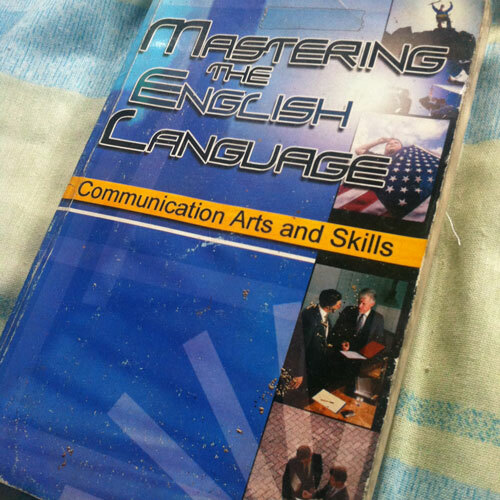 This entry was posted in Daily Me and tagged book, english, review. Bookmark the permalink.